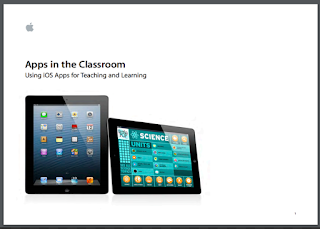 Apps in the Classroom is an excellent short guide from Apple to help teachers explore, choose and integrate iPad apps in their instruction. More specifically, the guide features five key considerations teachers should take into account when evaluating and selecting educational apps to use in class. These are: engagement, developmental appropriateness, instructional design, motivation, and accessibility. 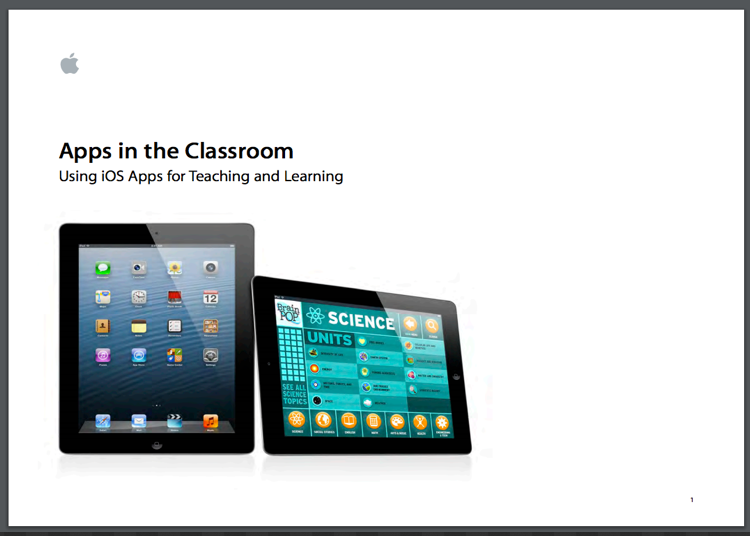 Each of these considerations is accompanied with a set of iPad apps that best illustrate them. We have spent some time reading through the different sections of this guide and found it really interesting. The guide also provides a number of key questions to guide you through the evaluation process in each of the five considerations. Below are examples of questions you need to ask when considering engagement and development appropriateness of an app. Check out the full guide here to learn more about the other criteria for selecting and evaluating educational apps to use in your teaching. Is the app inviting and does it give a good first impression? Is the app one that students will return to often? Does the app open up new ways to learn? How does it let students do things they haven’t been able to before? Is the user interface age appropriate? Does the subject matter appeal to the intended grade level? Does the design appeal to the intended level?